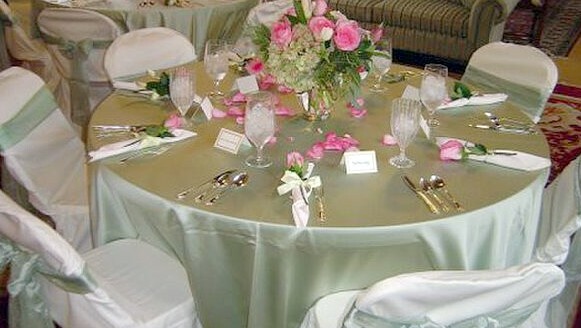 A fun idea for the bridal shower/luncheon/brunch/tea etc.! This is almost a "blast from the past"! 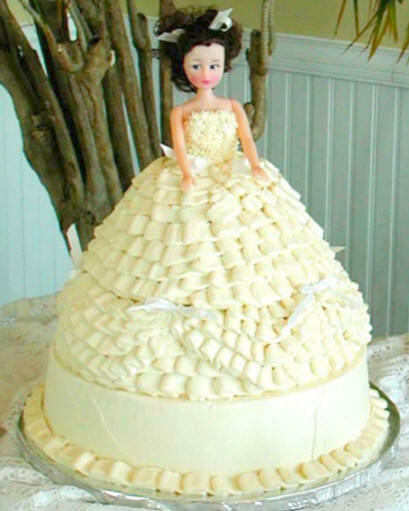 A bride doll charm cake for your bridesmaid's charm pull - what fun! 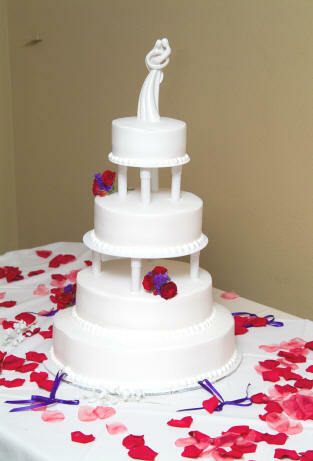 Pictured here is a Barbie (the bride was a brunette:) Bridesmaid's Charm Cake. The charms are on the white ribbons going around her gown. This bride's sweet Aunt hosted the bridesmaid's luncheon and she also purchased a charm bracelet for her niece, the bride, with duplicate charms as a gift for her. 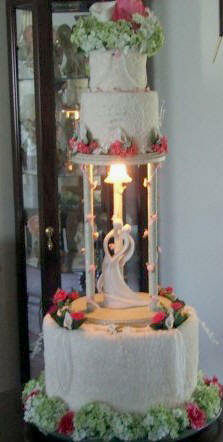 "Dear Rhonda, Attached is a picture of the Barbie bride cake from my niece's bridesmaids' luncheon this past weekend. The charms that I ordered from you were just beautiful; of exquisite quality and were such fun for my niece and her friends to pull out of the cake! My niece also loved the bracelet with the duplicate charms as a special memento of her wedding. You were so helpful and wonderful to help me with the charm order and get them to me so quickly. Thanks so much for everything! 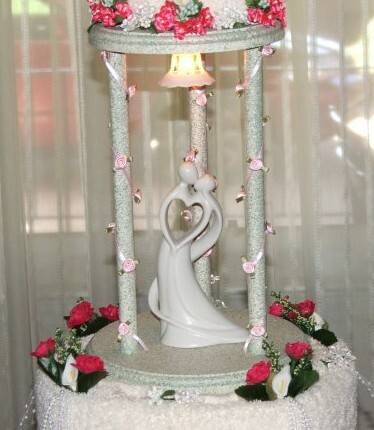 Daria"
This is a towel cake handcrafted by a bride's mother for a bridal shower! She will use it as the table centerpiece. 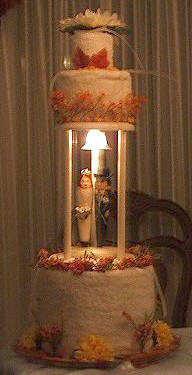 She went to a lot of trouble to make this (notice the wedding bell light in there!). You can see some of the ribbons around the towel cake - these are her daughter (the bride) and the bridesmaids charms (she purchased bride, bridesmaid, and flowergirl charms for the girls) they will get to pull them at the bridal shower. 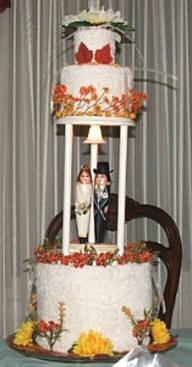 The bride and groom you see in the center of her towel cake are handcrafted gourds - so cute! This is what she wrote to me when she received her charms: "Thank you very much!!! I just received the charms and they are BEAUTIFUL!!!!" Later, this bride's mom sent me pictures from the wedding. 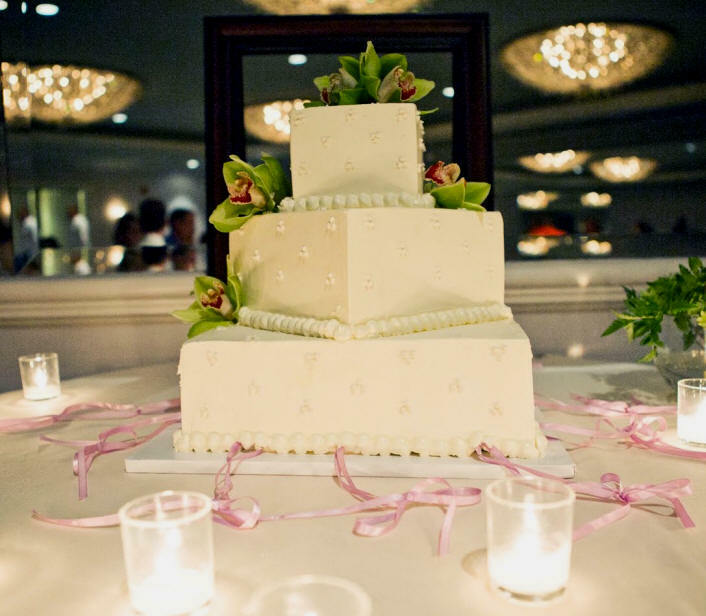 The bride (her daughter) had a wedding charm cake during the reception. 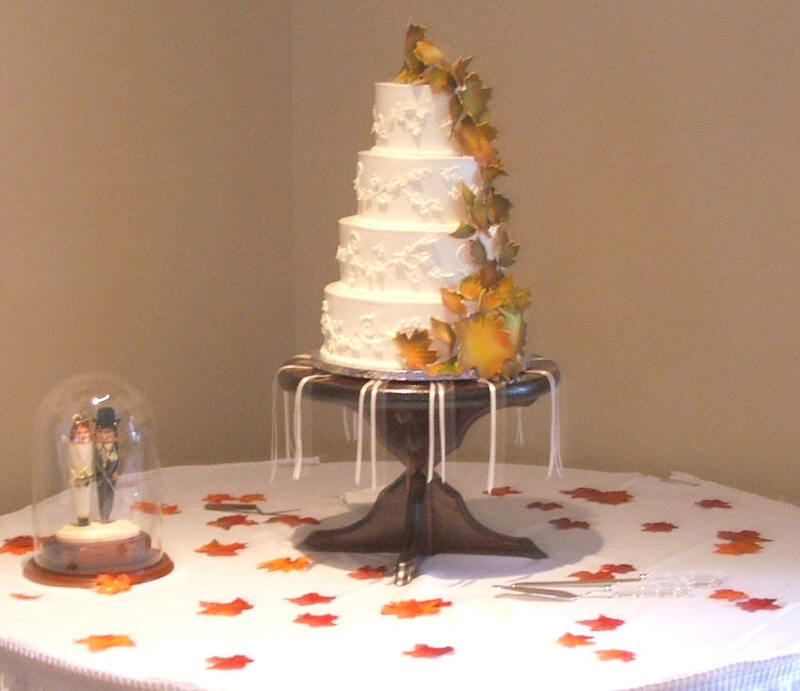 She got married in the fall - notice the fall wedding theme of the wedding cake - her cake charms are around the base of the cake. 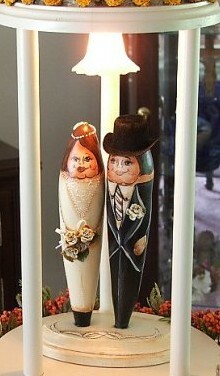 Do you see her bride and groom gourds from her bridal shower? Read more comments and see pictures sent to me from this mom and bride. 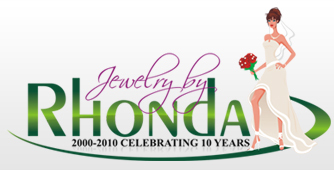 "Hi Rhonda, I received my charms today and they look great! Thanks so much for the purple ribbon and for the fast shipping! I've already told people about you and they sound interested in the cake charm idea. All the best! Jessica Williams (soon to be Morris!)" "Hi Rhonda, Here's a picture of my cake with your lovely charms (finally!) Jeff and I were married on the 22nd of June. It was wonderful and everyone thought that the charms were a cute idea...Thanks again! Jessica Morris"
"Dear Rhonda, The 'Charm Pull' was the highlight of our Bridal Brunch! I especially appreciate the level of service you provide! The charms were so beautifully packaged and 'be-ribboned'! Communication was excellent, as well! I appreciate your offer to place the charms on the bracelet for me, too! Sincerely, Kathryn"
Here is Kathryn's Happy Marriage Charm Bracelet. "Good evening, I had a wedding in August & I included the cake charms. I loved them and so did my bridesmaids & sisters! 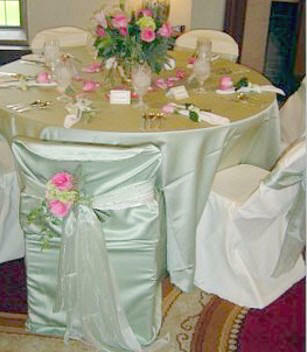 I also received fabulous comments from our guests who had never heard of them. 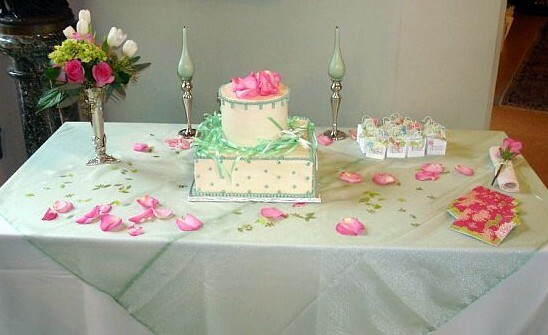 Thank you so very much!...I have attached a picture of my cake & charms. I do believe the purple ribbons made it that much prettier! I couldn't have asked for a better looking cake and the cake charms just added that much more love into it. Again, thank you so very much, Christina"
"Hey Rhonda! Andrea's Monogram Shower was today and the charm cake was a huge hit. Everyone thought it was the neatest idea. Thanks for all of your help with the charms. They were beautiful. Here's a picture from the shower! Carrie"
Here is an idea from a mother in Kingwood, TX - a graduation charm cake as part of her daughter's graduation party! 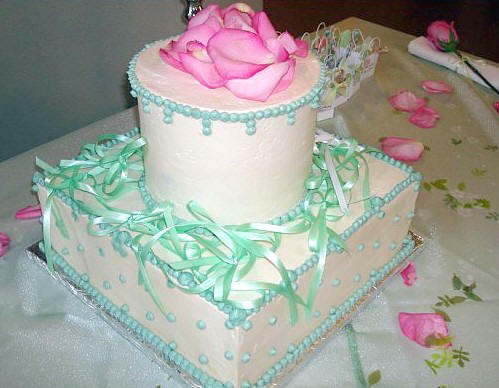 "Hi Rhonda, My daughter, Katie, loved her charm cake. I designed it to look like a sunflower, her favorite flower, with the ribbons as leaves. We had all the younger single women and newly marrieds and the two 90+ year old grandmothers and the hostess pull the charms. Each managed to pull the charm that fit her personality/interests. The bride got the claddagh and everyone teased my older daughter and accused her of "rigging" the charms because she pull the book charm, which was perfect for her. 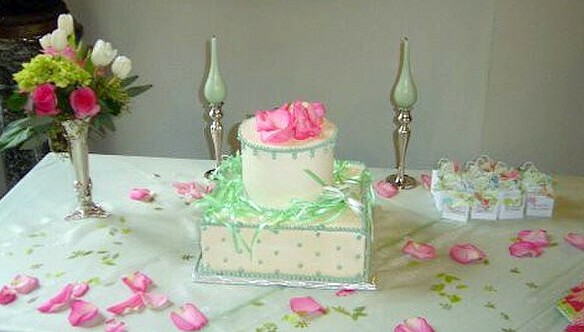 Here is a photo of the cake. Thank you for helping to make my daughter's special day even more special. 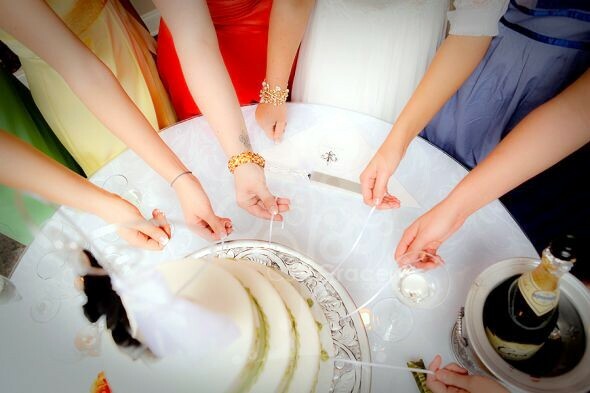 Susan Alario"
This bride in Napa, CA purchased sterling silver charm bracelets for her bridesmaid's gifts and sterling silver charms for the bridesmaid's charm cake as part of her bridesmaid's luncheon. "Rhonda, the girls loved the charms!" 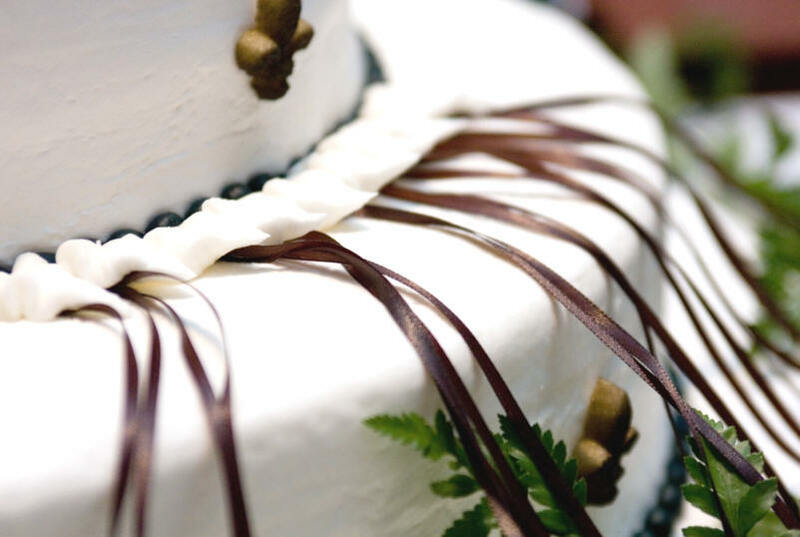 Use our Christian charms in your Christian celebration cakes, such as an Epiphany cake or Pentecost cake. 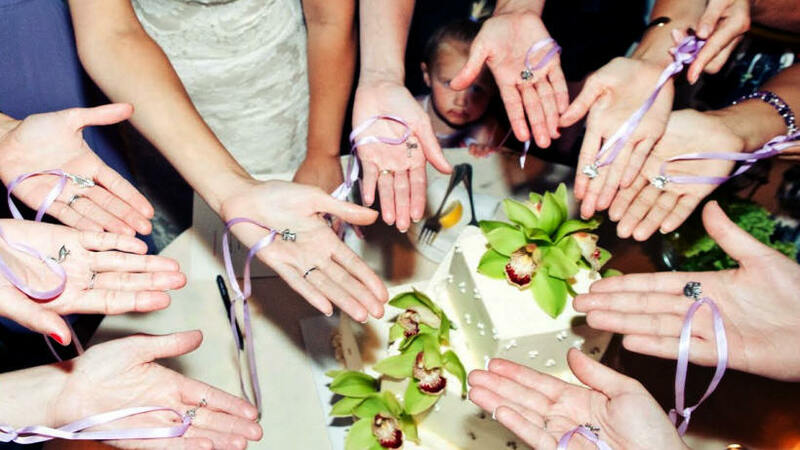 This bride and bridesmaids pull our cake charms on orchid satin ribbons as part of the wedding reception.